This MaxxAir portable belt drive 42-inch industrial fan is a versatile workhorse. It is made of a rugged, 22-gauge steel powder-coated housing and a 2-speed, thermally protected 1/2 HP PSC motor. The belt drive creates an ultra-quiet operation, increased longevity, and has dual ball bearing drive with reinforced steel motor mounts. It has OSHA-compliant rust resistant powder-coated grilles. The unit has a convenient handle for easy portability. It has a CFM (hi-low) of 13,300/9,500. The fan comes with an 8-foot cord. 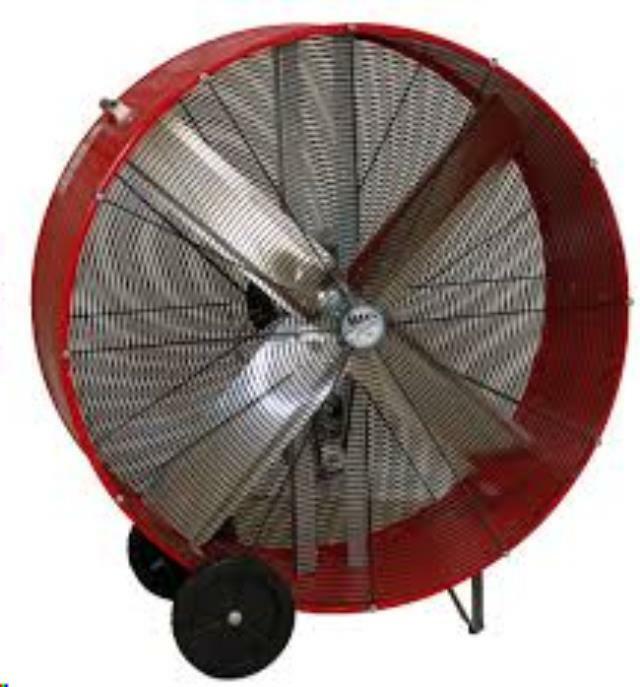 * Please call us for any questions on our fan exhaust 42 inch rentals in Eastlake OH.